Until the merger of the Canadian Alliance and the Progressive Conservative Party at the end of 2003, Stephen Harper was, to all appearances, a straightforward conviction conservative, a somewhat wonkish neo-con with a touch of social conservatism. Tom Flanagan was much the same, though his social conservatism was fainter. Harper had written the Reform Party’s policy manual, the Blue Book, before Flanagan became that party’s director of policy, strategy and communications in May 1991. They have worked together, more often on than off, ever since, as Harper pursued his course to 24 Sussex Drive. Harper's Team is largely an account of four campaigns in which Flanagan worked for Harper: the Canadian Alliance leadership in 2002, the Conservative Party leadership in 2004, and the general elections of June 2004 and January 2006. The team is a score or more behind the scenes workers who are, and will mostly remain, unknown to all but the keenest politics fans, most notable Ken Boessenkool, the young economist turned lobbyist who played a key role in policy and strategy in all four campaigns. Flanagan has been a professor of political science at the University of Calgary since 1968, one of the many Americans hired by Canadian universities during the great university boom of the sixties. Outside his political role he is best know as a critic of conventional and official thinking on native rights and the role of Louis Riel in Canada’s history. But it is one of the claims of political science to understand what makes people vote the way they do, the same claim made by political strategists who work for politicians. Never active in politics before he went to work for the Reform Party, Flanagan came late to what is often a young man’s game. Some start in their teens. But he took to it with an enthusiasm that is evident throughout Harper's Team. It is a lively, sometimes dramatic, account of campaigning from the nuts and bolts of hiring buses, designing posters and renting office space to the crafting and communication of policy and responding to opponents’ attacks and the inevitable ‘events’. Flanagan is naively excited by the use of computers and the web for campaigning. If his dreams were fulfilled there would be no escaping it. Harper’s Reform Party Blue Book was a thoroughly conservative document. Flanagan had a reputation as a conservative in an uniquely conservative political science department. He says he was attracted to the Reform Party by the Blue Book. As recounted in Waiting for the Wave, his 1995 book on Preston Manning and the Reform Party, Flanagan split with Manning - he was actually fired - because Manning was preparing to move beyond conservatism, hiring the former Liberal strategist Rick Anderson, and soft-pedalling Reform’s conservative message. In Flanagan’s image, Manning caught the wave of Western alienation and anxiety about the deficit and taxes but had no commitment to conservatism as he waited for the next wave that he hoped would carry him to 24 Sussex Drive. Manning, the most devious of politicians, has always been happy to let those who want him to be a conservative think that he is, but, outside of his domestic life, he has never been a conservative. In the founding of the Canadian Alliance, while enthusiasts hoped to unite the right, Manning promoted a United Alternative, embracing even weary New Democrats. 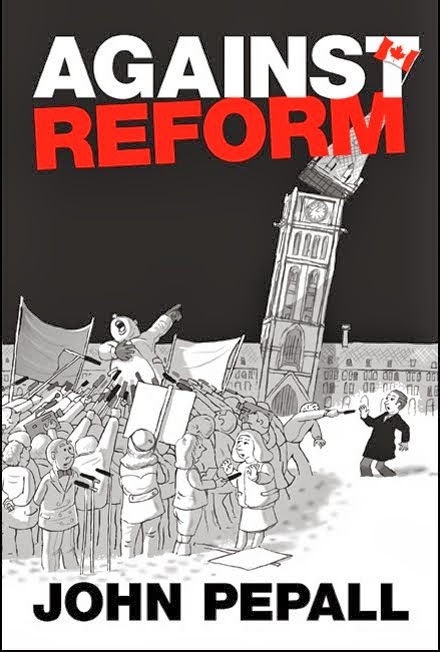 Stephen Harper had solidified his reputation as a conservative as Reform’s most articulate policy voice in the Commons before resigning in 1997 to lead the “More freedom through less government” National Citizens Coalition. What could be more conservative than that? He was on the sidelines as the Canadian Alliance was formed at cross-purposes between a united right and a united alternative. When Stockwell Day had to step down Harper campaigned for the leadership as the True Reformer: True Conservative, sceptical of his rivals’ keenness to treat with the Progressive Conservatives. When he engineered the merger of the Alliance and the PCs the name Conservative Party of Canada, while comforting old Tories, seemed to confirm that the new party would be the real thing. The media eagerly promoted an image of Harper and Flanagan as neo-cons with a mission. A high point was Marci McDonald's paranoid “The Man behind Stephen Harper” in the October 2004 The Walrus. The Liberals gleefully depicted Harper as frighteningly conservative and dismissed any sign of moderation or pragmatism as evidence of a hidden agenda. Harper's Team shows what Harper in office confirms, that he and his team are no more frightening or conservative than Joe Clark. Flanagan occasionally piously affirms conservative principles but he makes it plain that his concern and Harper’s was always simply to win campaigns. In this context policy is not a basis for governing but an election tool like a leader’s tour or an advertising campaign. Whether a platform plank is good government on conservative or any principles is not even a consideration. Its only importance is its effectiveness in moving voters, the most shameless example the GST cuts, the most embarrassing the promise not to tax income trusts. By Flanagan’s account elections are won and lost, lost in 2004, won in 2006, by all the elements of the campaign, of which policy is only a part, pitched against the other parties’ campaigns. This is the proud conviction of political insiders, the multi-partisan confraternity of political activists, government relations consultants, pollsters and political staffers, endorsed by the many journalists who are their frequent interlocutors. But the results in 2004 and 2006 can be explained without a thought for the campaigns. The immensely prestigious Paul Martin was expected to sweep the country when he became Prime Minister. The Adscam revelations kept him to a minority but voters were uneasy about the little known Stephen Harper. In 2006 Martin had shown himself to be a feckless Prime Minister, the Gomery Commission had displayed all the rot in the Liberal Party and Stephen Harper had come to be known as an ordinary politician, not exciting but not frightening, worth a try. The shift in Quebec, not the result of a beefed up Conservative campaign in that province but of the historically familiar shift to a rising Conservative party, the pointlessness of the Bloc, and the shabby disarray of the Liberals, was enough to give Harper his minority government rather than a virtual tie with the Liberals. Fans of the game of politics will enjoy Harper's Team. Canadians still anxious about a hidden agenda should read it to set their minds at rest. But it is disturbing in a different way. It illustrates how the political game, campaigning, has come to overwhelm politics, whose end is government. Flanagan says that “Campaigning is an audition for government.” He claims that organising and directing campaign workers, raising money and spending it well are a test of the skills needed in government. The same could be said of running a stamp club, planning a wedding or commanding an army. It is an absurd analogy, which shows that the specificity of government, the substance of politics, is lost in the political game. Harper has governed as if he were running a political campaign. Beyond the five priorities coming out of the election campaign, in making appointments, bringing forward legislation, responding to events, his government has been hesitant, inactive, inept. Everything is, and is seen to be, calculated to win a majority, but the surest way to a majority, governing well, eludes them because of the dominance of political players in politics. Flanagan analyses the voters as given and fixed interests and identities that must be won over by special appeals and policies. The commonweal to be governed well disappears. There is no suggestion that public understanding could be moved by promoting conservative or any other principles. A Canada that elected a Conservative government would not be a whit more conservative than it had been before. Flanagan may be an academic conservative. He mentions a kind of conversion experience on reading Friedrich Hayek at the ripe old age of 35. There is no mention of the demonised Leo Strauss. Yet his conservatism seems academic in the pejorative sense. His former student Ian Brodie, now Harper’s chief of staff, must also have left his academic conservatism behind. In 1998 Flanagan wrote with Harper “The purpose of the conservative movement is to change public opinion and public policy.” In 2001 he wrote “Conservatives and libertarians who see politics as a means of effecting change in public policy are more likely to achieve their goals by supporting parties with a consistent free-market outlook than by submerging themselves in “big tent” parties that may sometime win elections but have no clear agenda...” Yet his work in the 2004 and 2006 elections and his prescriptions at the end of Harper’s Team aim precisely at a big tent party offering only scraps to conservatives and libertarians. Scraps that the liberal media exaggerate, as they did the recent banning of tax credits for “offensive” films. 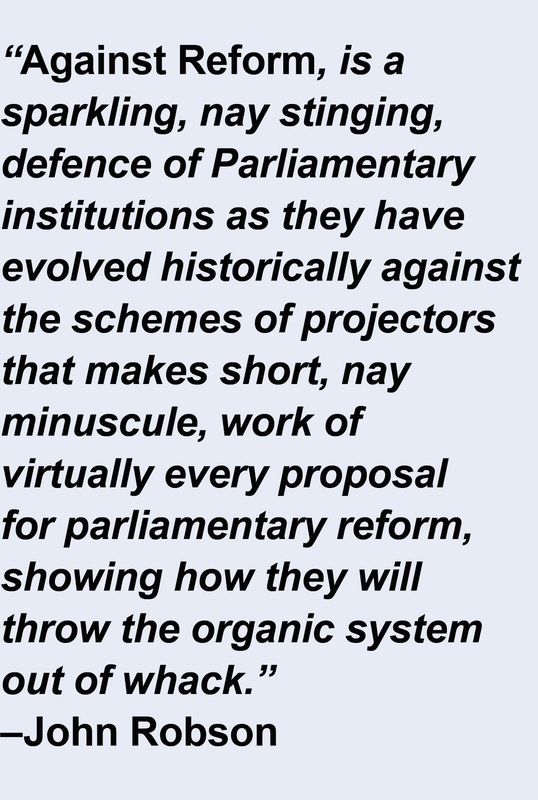 Over 100 years the Liberal Party abandoned all its principles to win power , becoming experts at the game. Look at them now. Harper’s Conservatives have learned from the Liberals. But they risk the same fate, not after 100 years but early in this century. For conservatives whose hopes were raised in the 90’s it is a depressing prospect. All the skills of the team that won the 2006 election have now been deployed for over two years to the end of winning a majority, but faced with an historically feeble opposition there is no reason to think the Conservatives would do any better now than they did then. There is no reason to think a Harper majority government would be much different from his minority. It would likely devote itself to winning another majority at the factitiously fixed date. A majority might loosen for a while the election ready discipline Harper has imposed and reveal what character and thinking survives in the Conservative Party. But when campaigning overwhelms politics it all becomes about winning, exciting for the players and the fans but no good for the voters. As in any game there is only one agendum, winning. If voters would not give them a majority in 2006 for fear of a hidden agenda, they will not now because they cannot see what would be the point.